Making little souvenir books gives me a chance to relive travel experiences in the studio and then have something to keep as a memento. I often make several to share with my companions. 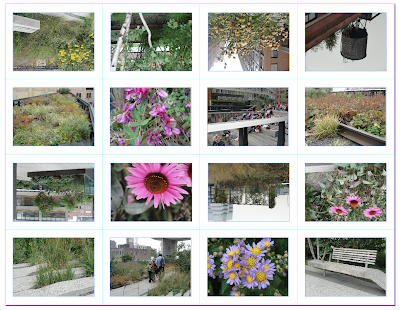 Last Wednesday my mother-in-law and I joined the New England Wild Flower Society on a bus trip to New York to the High Line, the former elevated freight railway that has been made into an incredible park. We were joined in the city by my son and had three delightful hours together exploring on our own as well as guided by one of the gardeners. 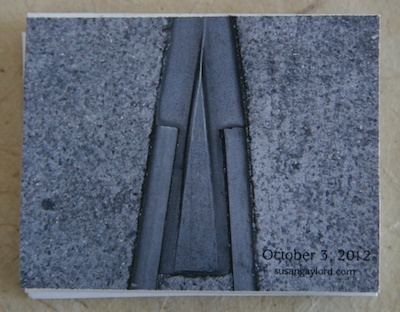 The design of the park and the plant materials chosen are exquisite. 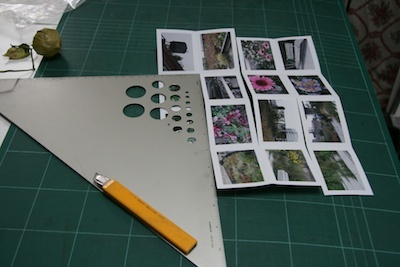 I wanted to print the book as one sheet and decided to make a 16 page meander book. 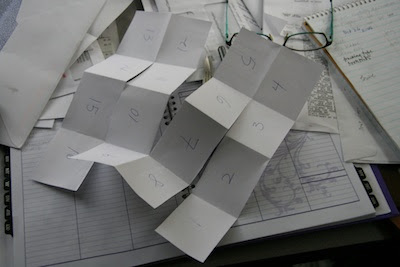 I started the book process by making a model and figuring out the placement of the images on the pages. printed it on my Epson Workforce 80, and then cut the pages and glued on covers. You can view more of the photos I took on flickr. 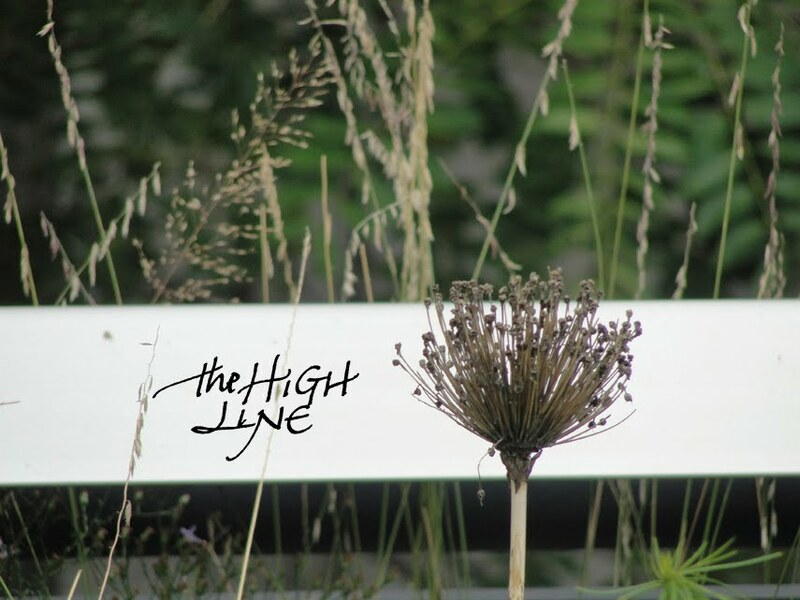 Leave a comment before Thursday 10.4 at midnight and be entered into a random drawing for one of the little High Line books. Susan, this was a wonderful read! Just celebrated Thanksgiving in Canada. these little books are such a great way to be thankful and to remember fun trips like this one. What beautiful book. I would love one :) Thanks for the giveaway, and even more so for both your inspiring work and for sharing it on your blog! the High Line is such a unique and inspiring urban landscape, I have only seen photos but one day hope to walk it in real life! This is a fabulous idea that I would love to try.... as a first time grandmother I will enjoy hours of arranging pictures of my little guy! 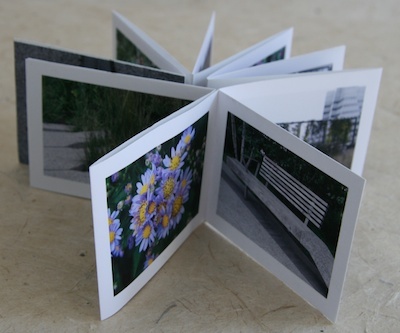 I have made these books as sketchbooks, but hadn't thought of printing photos in them - looks great! This is stunning! Thank you for sharing the process as well as the end result. What a wonderful book, thanks for sharing it. I have made that book, but used a different cover system (more like a schoolbook cover.) Sounds like it was a lovely trip, so glad you could share it with family. Wow-what a great momento! 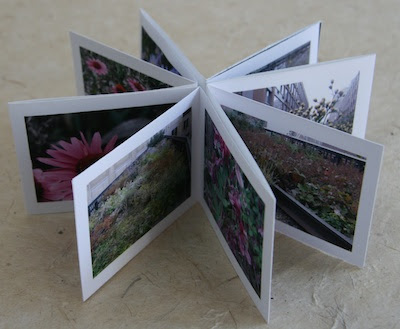 I would love make these momento books with my children (ages 7 and 9.) I have heard the High Line is beautiful. Thank you for this opportunity! What a lovely way to celebrate your journey! I've done this for the 8-fold book, but this is awesome! What kind of paper do you use, and will it work in an ordinary inkjet printer? Because you've really inspired me! thanks susan - I love the cover photo. Beautiful book, and thanks for sharing your process. I too have only seen photos so far, but hope to walk it myself one day as well. Love this idea as travel mementos or small gifts. 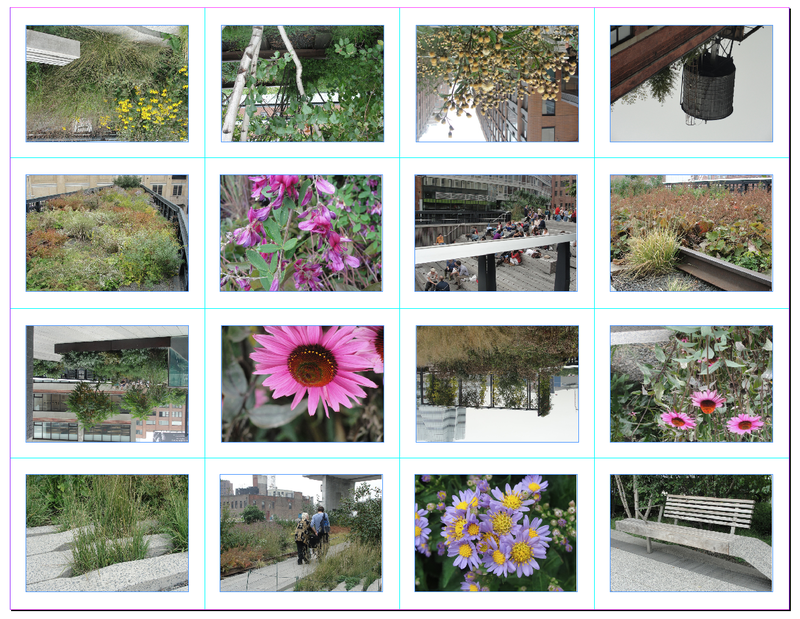 We had a small family reunion in NYC and the High Line was a highlight of our trip. Thanks for your great ideas. Susan, your ideas and books are truly inspiring. Thanks for sharing your work in such a fun way! Days like that when all the pieces come together are so refreshing! Lovely little book. Thanks to all for your comments. I am sending the book to Irene. I used Epson Premium Presentation Paper which is designed for printing with a matte finish. It's fairly lightweight and easy to fold. My printer is an Epson Workforce 80. When I've made 1-3 souvenir books, I've printed just the pictures and then glued them into the pages but as I was making a few more, I decided to lay it out in indesign. Here is one I made like that after a trip to Montreal.